The Bald Head Island Ferry Terminal is the gateway to exploring the small, but popular paradise of Bald Head Island. Located on the northern edge of the roughly 5 square mile island, and bordering the Cape Fear River, the terminal deposits visitors in the heart of the action. 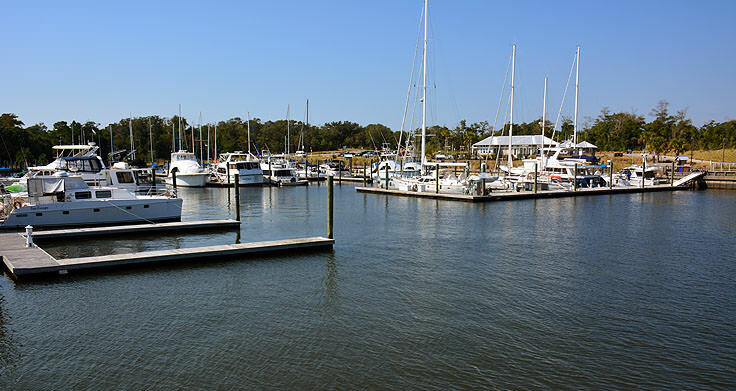 With two major property management companies located within walking distance, in addition to the Bald Head Island Marina, the Marsh Harbor Inn, and a number of transportation options, first-time visitors will have so problem stepping off the docks and finding their way towards a great weekly vacation, or a fun day trip on the beach. To reach Bald Head Island, visitors will need to take the privately run passenger ferry that departs every hour on the hour from the small mainland town of Southport. 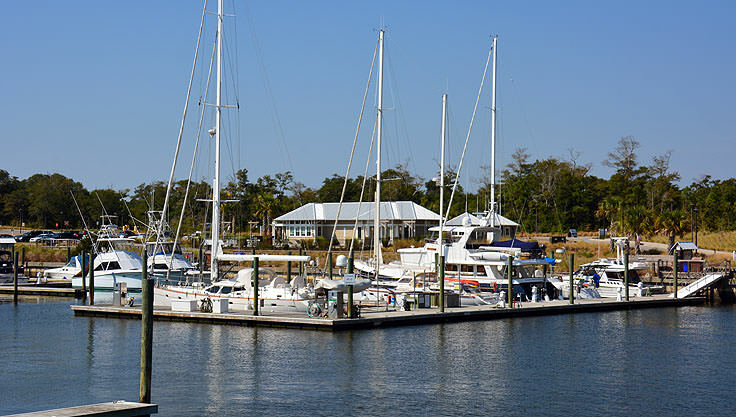 Located just a few miles away at Deep Point Marina, the ferry ride is a quick 20 minute trip across the mouth of the Cape Fear River. The ferry ride itself is a scenic, and altogether relaxing journey through the open water, with distant views of both the inland towns, and the barrier island communities. Once on Bald Head Island, passengers can pick up their stored luggage, which will be unloaded and waiting for them along an airport-style conveyor belt. From the ferry terminal, passengers will find ample transportation opportunities to reach their eventual destination, including golf cart rentals and an island-wide trams service. The major vacation rental companies in the area often urge visitors who are staying in a rental home, (specifically one not located within walking distance of the terminal), to make both a ferry reservation and a tram reservation when planning their vacation. The tram service greets visitors as they depart the terminal, and makes stops along the island, dropping rental home guests off at their respective destinations. (Once at the home, visitors can get around the island via a golf cart, which the majority of vacation rental homes supply.) The tram can only be used by visitors with advanced reservations, which can be made by calling (910) 457-5003. Visitors who have an ending destination within walking distance of the terminal, or who are simply embarking on a day trip, will find golf cart rentals available close to the ferry docks as well. Rented by the hour or by the day from the local Riverside Adventure Company, these rentals do not require advanced reservations, and can allow day-trippers to access every inch of the island. Of course, some of the region's bigger attractions, like the Smith Island Museum of History and the Bald Head Island Chapel, can be explored on foot, however frequent visitors attest that a golf cart is a must to explore the island in its entirety, and get a complete feel of the relaxed yet luxurious atmosphere. 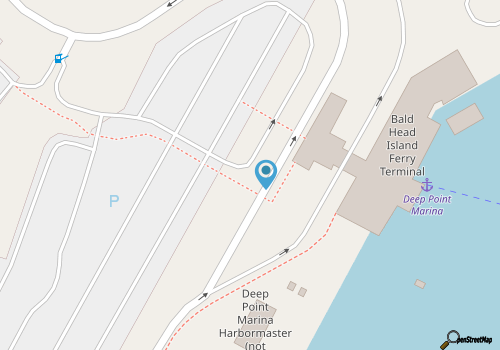 The ferry terminal itself is an interesting destination in its own right, as even the efficient passenger terminals and luggage pick-up and drop-off terminals have a slightly coastal and relaxed feel. Within the expansive complex bordering the waterfront, visitors will find an air conditioned passenger's lounge with restrooms, area information and concessions, in addition to plenty of outdoor seating overlooking the marina or the Cape Fear River. With lines of rocking chairs just yards away from the water, passengers who arrive early will find the wait just another relaxing aspect of a Bald Head Island vacation. The ferry departs from Bald Head Island to Southport every hour on the half hour, from 6:30 p.m. until late at night. The last evening departure changes with both the day of the week as well as the season. For example, the last ferry departure on a winter weekday may be 9:30 p.m., while the last departure on a summer weekend may be 12:30 a.m. Visitors who intend to catch a late Bald Head Island ferry back to Southport will want to check with their rental company, or call (910) 457-5006 for more information on evening departure times. The Bald Head Island Ferry Terminal is certainly one of the largest structures on this otherwise sparsely populated island, but it's also arguably one of its most impressive. 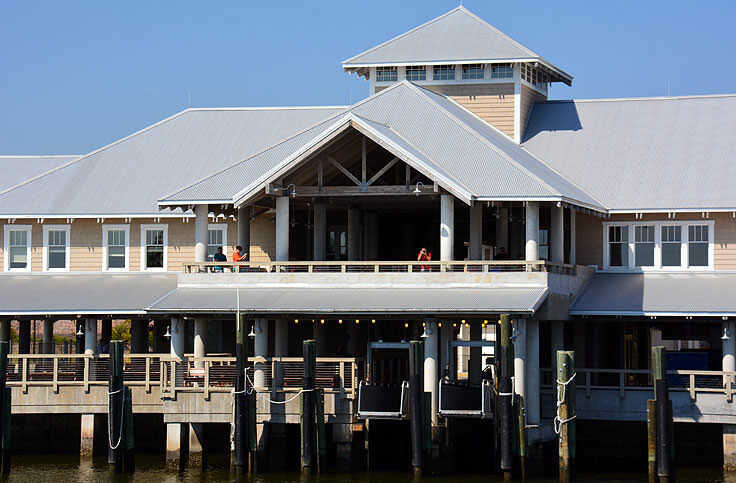 An easy-to-navigate maze of departing and arriving terminals, baggage claims, and waterfront lounges that take advantage of the complex's proximity to the Cape Fear River, this attraction has a long history of welcoming Bald Head Island guests with style and efficiency. The main port of entry for the majority of island guests, the ferry terminal is a well-operated system of southern hospitality, convenience, and waterfront views, and is a great beginning for any island vacation.